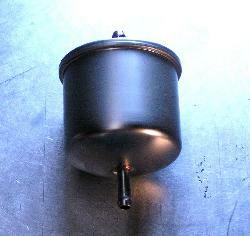 ** The fuel filter I will sell and ship to you will be the Z32 fuel filer. It is a superior filter in that it filters to more microns and is made in Japan. It is physically larger than the original, but will be fine in the car. Use a zip tie if necessary, and know you have the best filter available. Great replacement in my sentra, no modifications needed. Fits perfect and would recommend to others.